From a missing chimney cap to flashing problems, chimney leaks are a common issue homeowners deal with — and certianly not one to be ignored. Be sure to give your local roofing company — like our team here at Landmark Exteriors — a call at the first sign of a leak. Here are some of the reasons why a chimney can leak in the first place! If you have a beautiful brick or stone chimney, then these items will have hardened mortar between the items. However, this mortar will degrade eventually due to freezing or expansion along with other problems caused by natural wear and tear. If the mortar is missing, then when it rains or snows, moisture will enter the interior of the chimney, running down into your home, causing additional damage. Today, many homeowners have chimney cap on a chimney to prevent moisture damage along with keeping birds, insects and animals from entering the chimney’s shaft. However, sometimes, a chimney cap is not always installed when a chimney was originally built. Without this, your fireplace and flue are exposed to the elements! If flashing wasn’t installed correctly, it can lead to serious structural damage — especially during the winter months or during rainstorms. Moisture can easily enter through the flashing, into the roof and attic, causing rot and damage. These leaks may not be as evident right away! Inspect your attic and look for signs of trouble, it’s possible your flashing may need to be resealed or replaced. At Landmarks Exteriors, our professionals are here for all your roofing needs! Large or small, we take care of everything from routine maintenance items like gutter cleaning to emergency roof inspection and repairs. 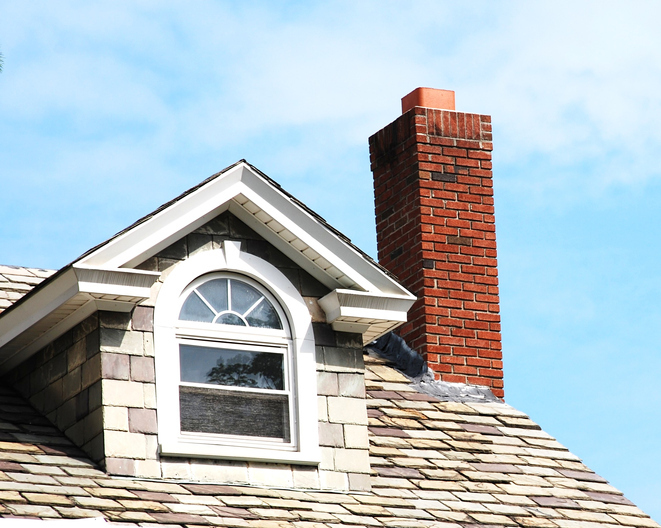 If you suspect a chimney leak, contact us today to schedule a roof inspection: 203-838-3838. Now that you’ve found your forever home, next up is the home inspection. 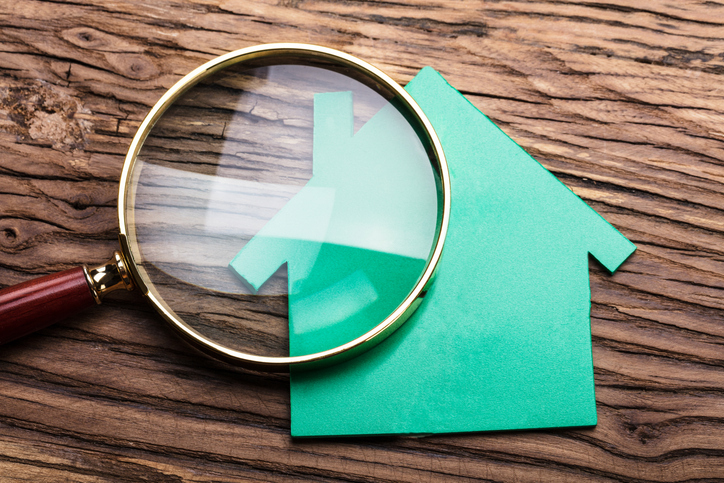 Home inspections are an important part of the home buying process — they help home buyers understand the true condition of the home and can identify if major repairs are needed. Here are some things to watch out for! An inspector will look at your home’s siding to ensure there are no issues with it. Over time, if the siding was not installed correctly, moisture can get behind the siding and cause damage. Moisture that is trapped in the walls can cause mold as well as damage to the wall, so it will be imperative to get this taken care of. Over time roofing materials age, and if it’s installed poorly from the start, it can age prematurely. As this happens, it may lend itself to water leaks and other issues — which can result in expensive repairs or full replacements. It’s also not uncommon to see missing or poorly installed flashing in certain areas. Faulty wiring has been a common cause of house fires, so any issues will require immediate attention. In older homes in particular, sometimes the home is not wired well and the previous home owner relied on extension cords (which can place a burden on the whole electrical system). Other times, wires are exposed and suffer from physical damage. Any electrical issues should not be ignored. If any of these issues are found in your home, you will want to get them repaired as soon as possible. Luckily, where your siding, gutter, or roofing needs are concerned, Landmark Exteriors is just a call away! 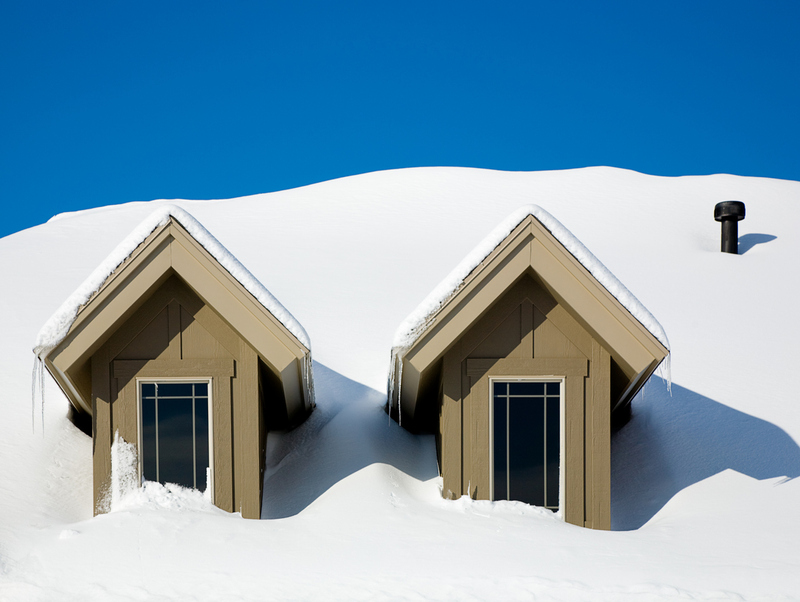 Although spring is a month away, the winter weather doesn’t seem to be leaving us just yet — how’s your home holding up? According to Houselogic, if a house isn’t properly maintained it could lose 10 percent of its appraised value! Translation: tens of thousands of dollars out the window. Check your plumbing for leaks or damage — and get them repaired! Wrap and insulate any exposed piping to prevent damage due to frozen or burst pipes. Ensure your electrical outlets are not overloaded. Prevent air leaks/heat loss by sealing windows and doors. Test carbon monoxide and smoke detectors. Flush your hot water heater to remove sediment build-up — doing so helps improve efficiency! Make sure your attic is properly ventilated — especially important for preventing ice dams and mold! Change out your air filter in your HVAC and clean dryer filters to extend your unit’s life expectancy (and also prevent fires). 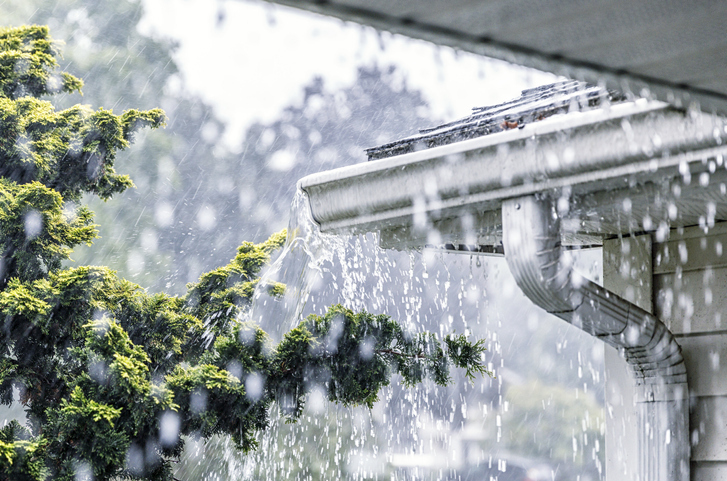 Make sure gutters and downspouts are free of debris and not damaged from prior storms. Inspect roofing for leaks, damage, etc. and repair as needed. In the event your roof or gutters fall damage to a leak, ice dam, or another problem, just know the professionals at Landmark Exteriors are just a call away. We’re here to help ensure your home not only makes it through the winter season but doesn’t lose its value in the process! Your home is always there for you, shelters you, provides you with warmth and security. 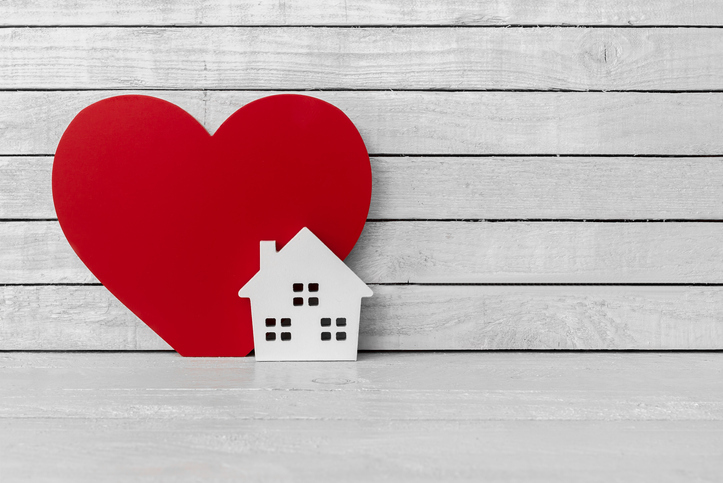 So with love in the air, why not give your home a little TLC this season? Whether it’s that new kitchen you’ve always wanted or a more structural need — like a hand-nailed cedar roof — show your home some love with an upgrade! Improving different areas of your home can not only improve resale value but can also make rooms much more energy efficient, saving you money on your monthly utility bills. 2. Enhance your curb appeal. Speaking of improving resale value, consider giving the outside of your home a facelift. First impressions are key — the better your home looks from the outside, the more people will want to see the inside! 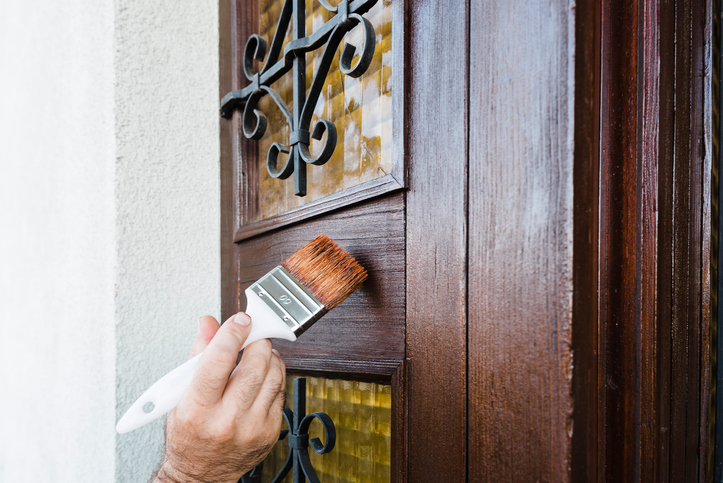 Repaint your front door, replace old hardware (light fixtures, mailbox, etc. ), install outdoor lighting, replace gutters and downspouts, build a walkway — the list goes on! Winter weather can make your home feel a tad dreary. If that’s the case, spread some sunshine throughout your living space with smart light management — but what does that entail? Simple: keep your curtains open to let as much natural light in as possible, or opt to use some creative mirror placement to help reflect light toward dim areas in your home. 4. Don’t forget the essentials. 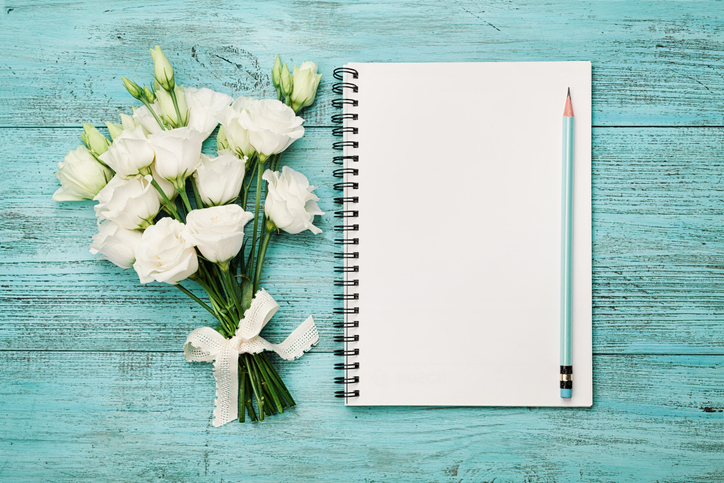 Sure, the fun stuff is well, fun, it’s also important to remember to check on check any pertinent detail in your home, such as thermostat and air filters, to name a few. Just like your car needs ongoing maintenance, so does your home! By ensuring your HVAC system is up to par, all leaks are fixed, your smoke detectors have fresh batteries, and there’s no debris in your gutters, you can count on a healthy and happy home. From roof repair to gutter installation, we’re just a call away! We welcome the opportunity to talk with you about your vision for your home and how our experience can benefit your project. Contact us today! Author adminPosted on February 1, 2019 February 1, 2019 Categories UncategorizedLeave a comment on How Much Snow Can My Roof Hold? 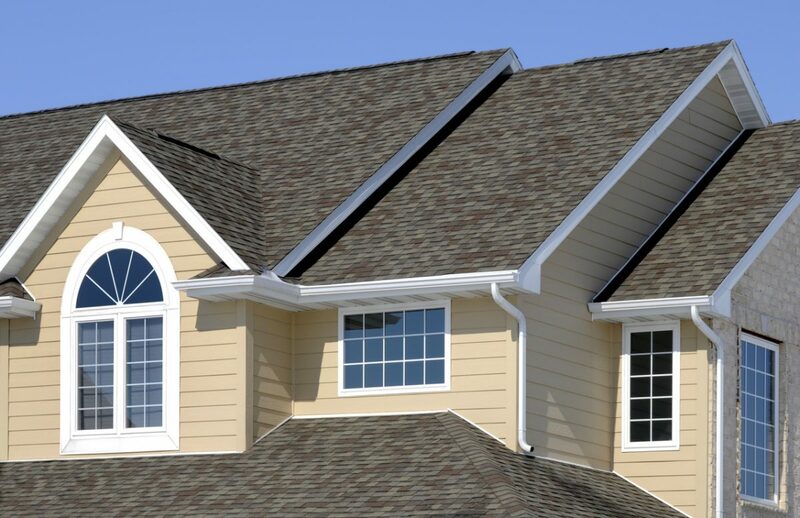 For over a decade, Landmark Exteriors has served people in many communities and suburbs by providing professional roofing services. As dedicated, seasoned roofers, we built a solid reputation in a practical way using top-of-the-line supplies and tactical roof maintenance and repair techniques. We’ve also made an impact by avoiding the most common mistakes that affect general roofing companies. 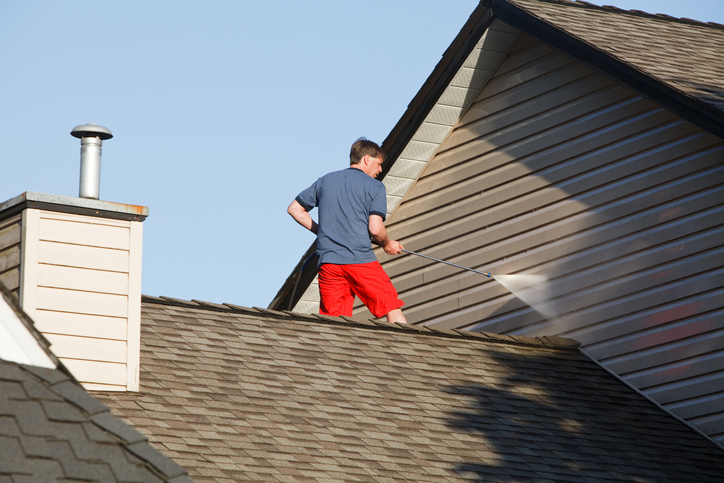 Inconsistencies are major problems that can make an average home’s roof unappealing. Because we care about customer satisfaction, we always take strategic steps to avoid inconsistencies during all roofing jobs. For example, if we begin a project with a particular type of roofing material, our contractors will finish the job using the same supplies. To avoid inconsistencies, we never swap out our main products with materials that have similar design elements as they won’t properly match the entire color scheme on a roof. In most communities, there are laws that impact residential and commercial roofing projects. When we work with our customers, we help them understand these laws during the preparation phase. If a property owner needs a permit in order to begin a roofing project, we’ll share information about the laws and requirements. Local laws are also designed for contractors who tackle roofing projects. 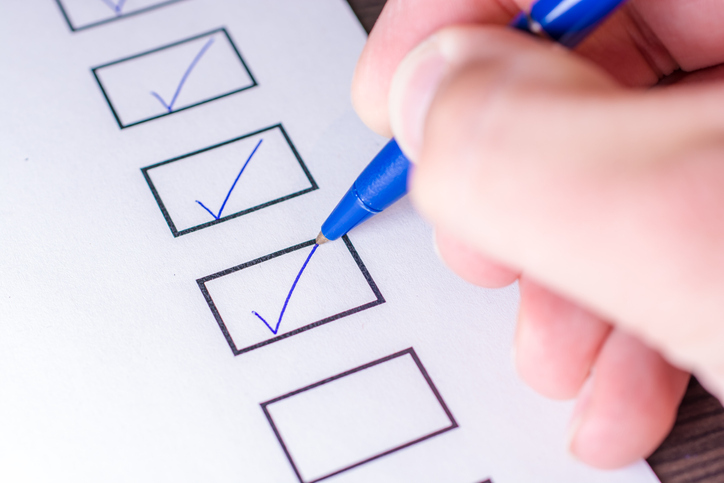 Since we’re seasoned roofers, we monitor local laws regularly in order to stay up to date. If there are any changes, we’ll make proper adjustment so that we can properly serve our customers. All of our contractors take tactical steps to complete every job in a professional manner according to the laws in different communities. Throughout each project, we never cut corners to complete objectives faster. If we run out of roofing materials, we won’t buy generic supplies in order to finish a project quickly and inefficiently. Instead, we’ll implement proper procedures to acquire professional-grade materials to complete the job effectively and efficiently! Are you looking for the best roofers in the business? If so, the professionals at Landmark Exteriors are just a call away! Contact us at 203-838-3838 to discuss how we can help transform your roof with expert quality and care.